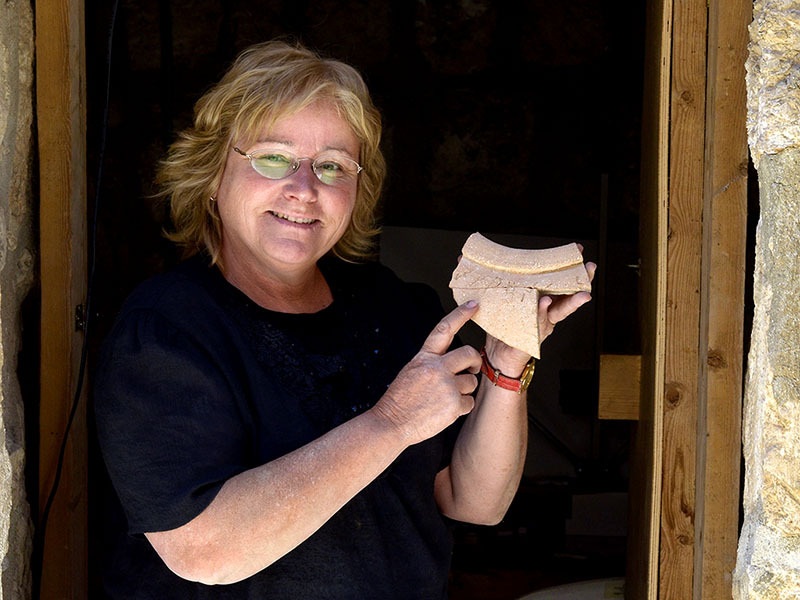 A Canaanite Inscription in Jerusalem? excavations. Archaeologist Eilat Mazar announced the discovery this week and has suggested, along with others, that the letters are a Canaanite script. At this point there are no other known examples of this type of script. It will be interesting to see how this all plays out. At this point there is no reason to doubt the inscription's authenticity. It will be the interpretation of that inscription and what it may mean for understanding the history of Jerusalem that will prove to be interesting. Mazar, using her grandfather's work on King David, suggests that David's scribes were Canaanite which could explain why the inscription is possibly in a Canaanite language rather than Hebrew. Below is a video of Eilat Mazar discussing the find and below that is the official press release from Hebrew University. The discovery will be announced in a paper by Dr. Mazar, Prof. Shmuel Ahituv of Ben-Gurion University of the Negev, and Dr. David Ben-Shlomo of the Hebrew University, following their extensive research on the artifact. Prof. Ahituv studied the inscription and Dr. Ben-Shlomo studied the composition of the ceramic materials. 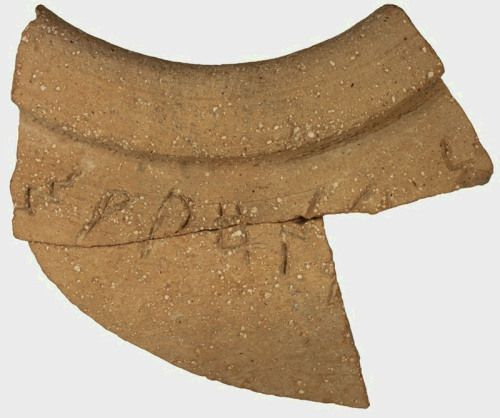 The paper, “An Inscribed Pithos From the Ophel,” appears in the Israel Exploration Journal 63/1 (2013). Reading from left to right, the text contains a combination of letters approximately 2.5 cm tall, which translate to m, q, p, h, n, (possibly) l, and n. Since this combination of letters has no meaning in known west-Semitic languages, the inscription’s meaning is unknown.